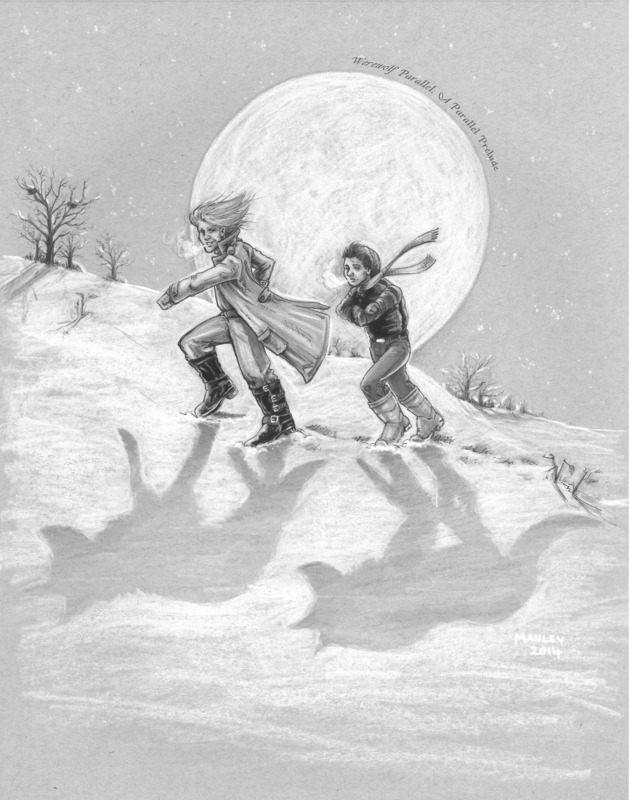 My publishers KelpiesTeen have been active over on tumblr – you can check out a Roy Gill infographic, and a Parallel Prelude set between both books, with a gorgeous new illustration by Mark Manley featuring Cameron and Morgan climbing a snowbound Blackford Hill. (Also available to download FREE on scribd – a longer version will be released soon too). You can also find out about the other books in the KelpiesTeen range. 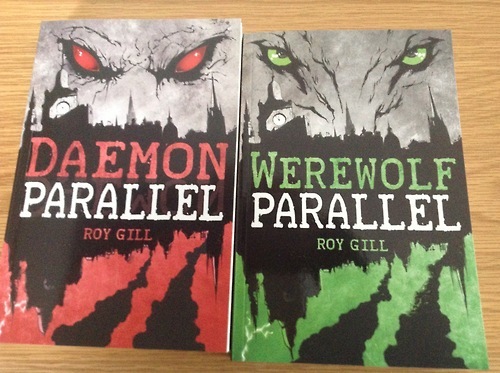 Finally, I’m hugely thrilled to say that What Noise productions have added both Daemon Parallel and Werewolf Parallel to their eclectic range of audiobooks, available for download and purchase on MP3 CD. I can’t wait to hear the readings! Hope you enjoy Cameron’s new adventures! Werewolves, Mindreaders and Shape Shifters – out now! Released today – an ebook sampler Werewolves, Mindreaders and Shape Shifters that contains the very first preview of Werewolf Parallel, alongside Mind Blind by Lari Don and Beneath by Gill Arbuthnott, and the opening chapters of Daemon Parallel too. It’s entirely FREE so please rush to your nearest ebook vendor and download a copy to your kindle, mac, pc, phone…. 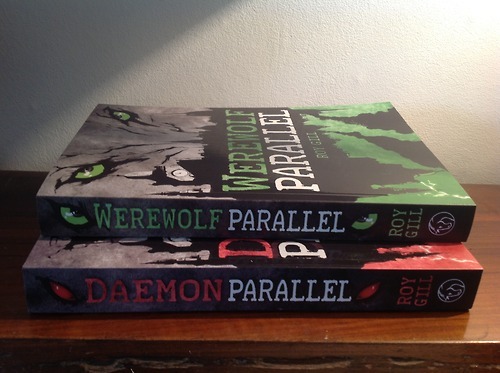 Yesterday was World Book Day, and I got an unexpected surprise: the very first finished copies of Werewolf Parallel and the new edition of Daemon Parallel arrived. Here I am looking just a little pleased and proud, not far from my publisher’s offices. First there’s an idea, then a pitch. Then – if you’re lucky – there’s a contract. Next you just have to write the thing, and there’s many points in that process where you don’t believe it’s ever going to be finished at all. Eventually, after much fidgeting and screaming and industrial quantities of tea, you have a complete draft – a huge stack of paper, sitting on your desk. That’s the first moment I really believe in the book existing, I think, but it’s still a good distance off…. It’s just going to keep getting more solid, more real. The seance is over – the presence has materialized. 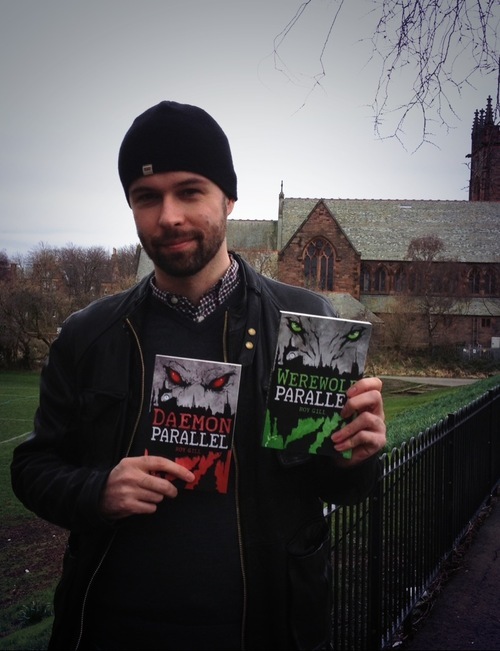 The Parallel is open, and the werewolves and daemons are here! I must admit I’m not entirely sure what I’m going to do there. I like the idea of re-blogging some of the amazing art out there – and how good would it be to find some Daemon Parallel fan art? 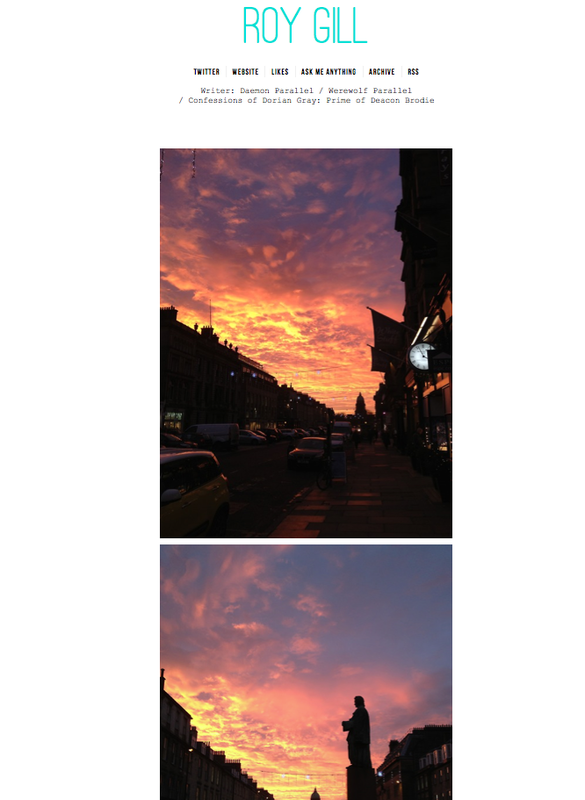 I also think I might post some of my own pictures of Edinburgh – it’s a marvelously atmospheric (and sometimes downright spooky) city. Perhaps people would like to see some of the locations that feature in the books? 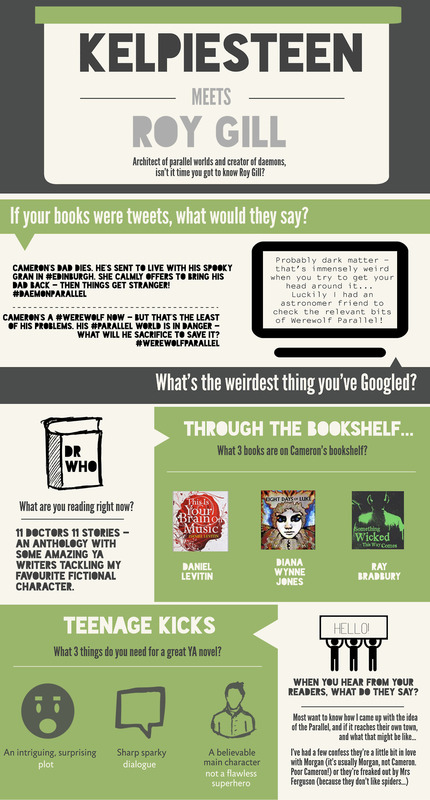 Feel free to say hello – and please suggest interesting blogs for me to follow.